Notes: Knight of the Garter. Degraded 1485; restored in 1490. Earl of Surrey. Earl Marshall of England. The Complete Peerage vol.XIIpI,p.513. 1 May 1484 and 8 Dec 1484 Richard III directed John, Duke of Suffolk; Thomas, Earl of Surrey; John, Lord Fitzwalter; Sir Henry Grey; Sir Edmund Bedingfield; Sir William Boleyn; William Paston; Ralph Shelton; Richard Southwell; John Paston; Robert Clere and others to array men at arms in Norfolk, no doubt readying for an assault by the Lancastrians. Fought on the wrong side at the battle of Bosworth, his father was killed and was taken prisoner by Henry VII, attainted, and placed in the Tower of London. Thomas Howard, stripped of his lands and titles, remained in prison for 3 years. Was released 1489. Henry VII needed a good general to fight the Scots. 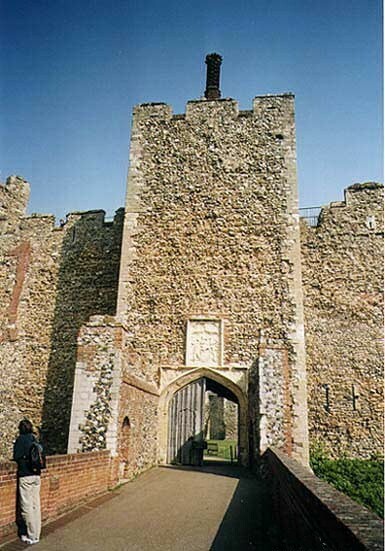 Thomas, who had been trained as a soldier all his life and was a good general, was released from prison and his title Earl of Surrey, which he had received in 1483, was restored. But his lands and the dukedom were not. He was entrusted by Henry VII with the care of the northern borders. As the King's lieutenant of the north, Surrey suppressed the English rebels and advanced against the King of Scots seizing several castles along the border. The King of Scots refused to fight Surrey and disbanded his army. As part of the peace settlement Henry VII's daughter Margaret married James, King of Scotland. Surrey and his wife escorted Margaret to Scotland to seal the Anglo-Scots peace by marrying James IV, and the Earl's entire family went along. On 25 Jun 1501 Surrey was confirmed as Lord Treasurer and, as one of the great officers of state, became one of the executive triunvirate of Henry's council, along with Richard Fox, lord privy seal, and William Warham. The Earl was constantly at court and in council, serving as the only prominent titled noble among Henry VII's heavily ecclesiastical inner circle. Surrey, his son Thomas, Fox and several others were given charge of negotiations which led to a treaty in 1508 binding Charles of Burgundy, grandson of the Emperor Maximilian, to wed Henry's younger daughter Mary. At the death of Henry VII in Apr 1509 Surrey was named an executor of the King's will and at the burial stood by the grave with the other officials of state and household who broke their staves of office and cast them down. At the coronation of Henry VIII and Catalina de Aragon, Surrey served as Earl Marshal. His son Sir Thomas was also involved in the passing of the crown, being paid five hundred marks along with Sir John Carre on 24 May for his services in Henry VII's funeral and Henry VIII's coronation. For the Howards, the transition from Henry VII to his son was far smoother than that from Richard III to the first Tudor. Surrey and his sons were anxious to prove their loyalty and usefulness. 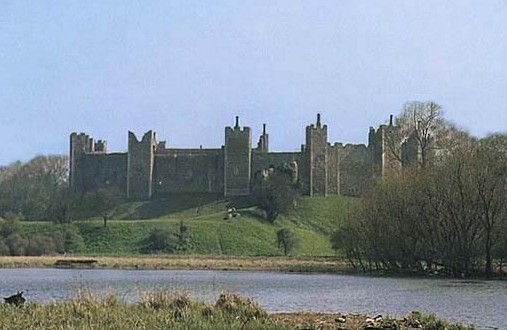 The dukedom of Norfolk still stood as the last great reward to be earned; the Howards were prepared to study the new King Henry VIII, to judge how best to serve him, and to win reward for that service. The Earl of Surrey, as treasurer, has been accused of using his position to encourage the King to lavish expenditure and wasteful pageantry, dissipating the resources of the crown in order to worm the Howard family into Henry's closest circle. In Nov 1509, Surrey, Thomas and Edmund Howard and Thomas Boleyn obtained the lease of the lands of Elizabeth, daughter and heiress of Sir John Grey, viscount Lisle. 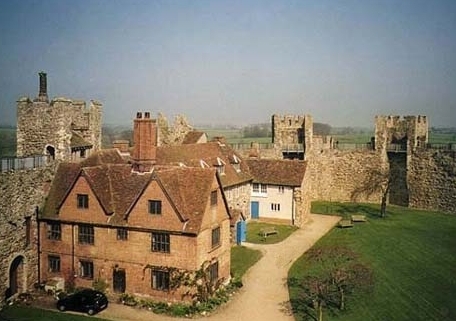 Lisle had died in 1504, but had been married to Surrey's daughter Muriel, who later wed Thomas Knyvett. Thus the lands of this minor niece were retained in Howard hands pending her marriage. Although an influential member of Henry VIII’s privy council, he was gradually forced to relinquish much of his power to the ascending Thomas Wolsey. Norfolk was no courtier and didn't play much of a role in the affairs of state after that. Cardinal Wolsey held the power then and saw to it that men like Norfolk didn't gain too much influence with the King. Wolsey was soon seeking an independent position on the council and encouraging Henry to seek martial glory in France. The Howards favored action against a nearer and more pressing enemy, the Scots. In the summer of 1511, Thomas and Edward Howard were sent out to engage Andrew Barton, a favorite sea captain of James IV. Barton, sailing with letters of marque against Portugal, had taken several English ships on the pretext that they were carrying Portuguese goods. Henry was willing to view Barton as a pirate; without complaining to James, the King turned the Howards loose to capture him. In the ensuing fight, a full-scale sea battle in the Channel, Barton was killed and his two ships, captured. James was angry enough to fight had England pursued the matter but, despite Surrey's prodding, Henry still thought it more rewarding to attack France. Wolsey had persuaded the King to risk greater dangers to seek a greater prize. Surrey may have overplayed his hand in pushing Henry to follow up the defeat of Barton with further action against the Scots, for on 30 Sep Wolsey wrote to Fox that the Earl had been so discountenanced by his latest meeting with Henry that he had retired from court, leaving the field to the anti-French party. 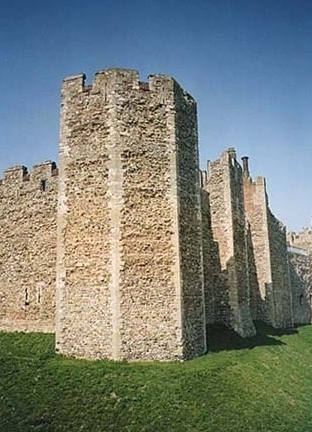 Nonetheless, the Howards continued their stirrings against Scotland, for Wolsey complained that Edward Howard used his closeness with Henry to urge the King to war with James. By Nov 1511 Surrey returned to court, ready to implement the king's chosen policy. Early in his reign Henry VIII crossed the Channel to France in an attempt to revive the English claim to the French throne. Fortunately he left the Earl of Surrey in England. The French campaign was a disaster. While Henry VIII was in France, King James of Scotland invaded England with an army 30,000. Surrey rushed to the defense with an army of about 20,000. The battle of Flodden was a disaster for James and the Scots. Over 10,000 of his men were killed, including many Scottish peers. King James died only a few feet from Surrey. Although King Henry was most likely jealous of Surrey's success and his own failure, he restored the titles of Duke of Norfolk and Earl Marshall to him. Surrey was the toast of England. And the Scottish border was secure for many years. 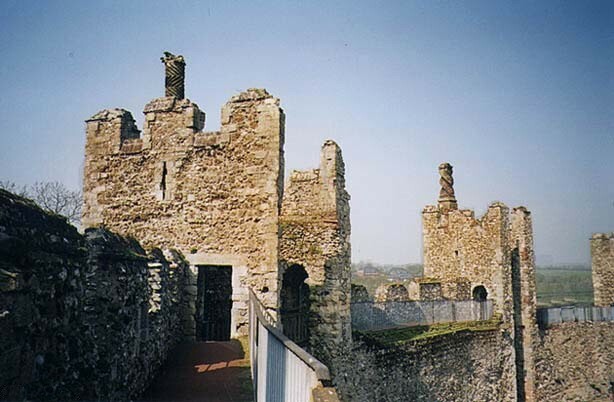 In 1517 Norfolk put down a revolt by the London apprentices. Afterward he persuaded Henry not to treat them harshly. When King Henry returned to France for The Field of the Cloth of Gold he left Norfolk at home in charge of the country. He served as guardian of the realm during Henry’s absence in 1520. In 1521, acting as Lord High Steward, he was compelled to sentence his friend Edward Stafford, 3° Duke of Buckingham, to death. In 1522 Norfolk was sent as Ambassador to the Holy Roman Emperor, Carlos V who honored him by making his eldest son Admiral of the Imperial Dominions. 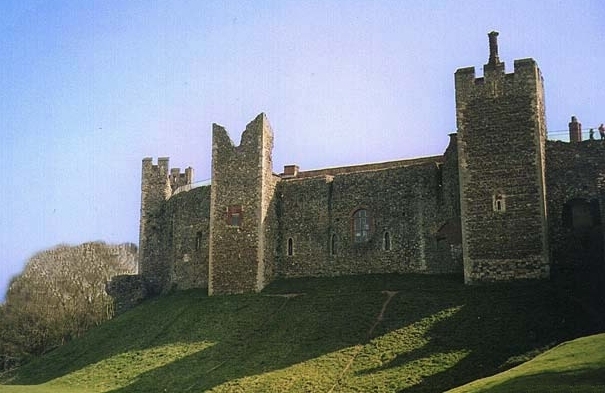 He died in 1524 in the great castle of Framlingham which had once been the seat of the Mowbray dukes of Norfolk and before that had been home to the Bigods, Earls for Norfolk during the Norman era. He was about 80.